Wood Giraffe Rocking Horse - It's time for a safari! Tell your kids to get ready to gallop through the jungle on the Wood Giraffe Rocking Horse. This delightful toy is hand painted with a fun giraffe print and a smiling face. 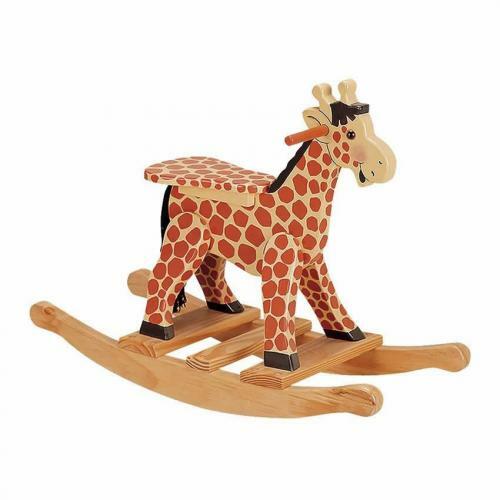 The Wood Giraffe Rocking Horse is a great addition to any jungle safari theme room - bedrooms and playrooms alike. It comes complete with a long yarn tail.